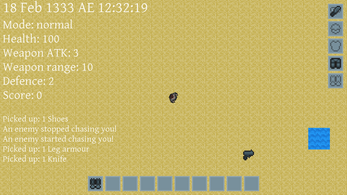 Deathline is a turn-based roguelike survival game. It takes place in an arena where you have to survive for as long as possible against the other contestants. You can find weapons and armour on the map that makes it easier to survive. Controls are simple: WASD/directional keys to move. 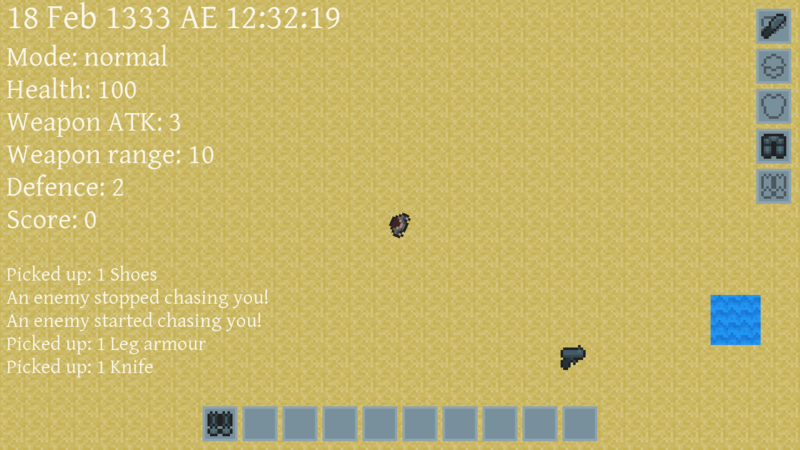 Click on an enemy to attack them. You win by not dying. Gain score by killing enemy contestants. Have fun!